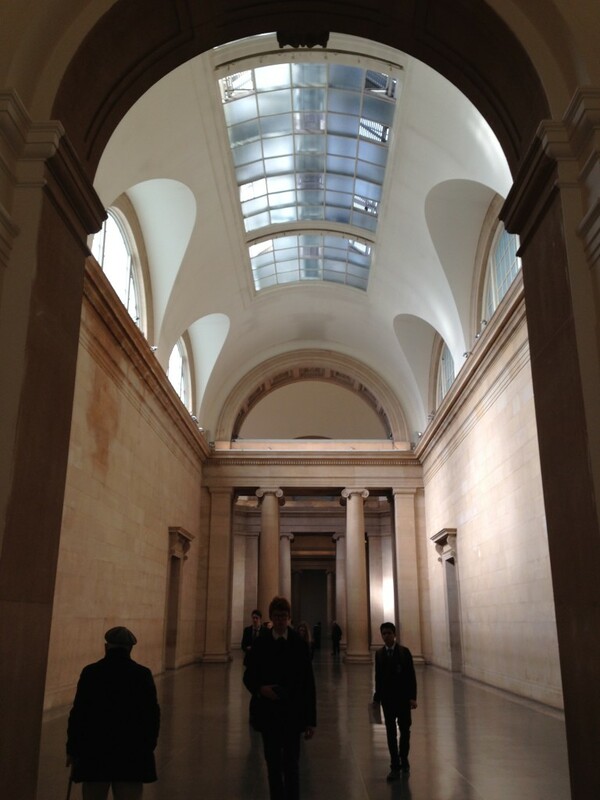 We were in London last weekend. 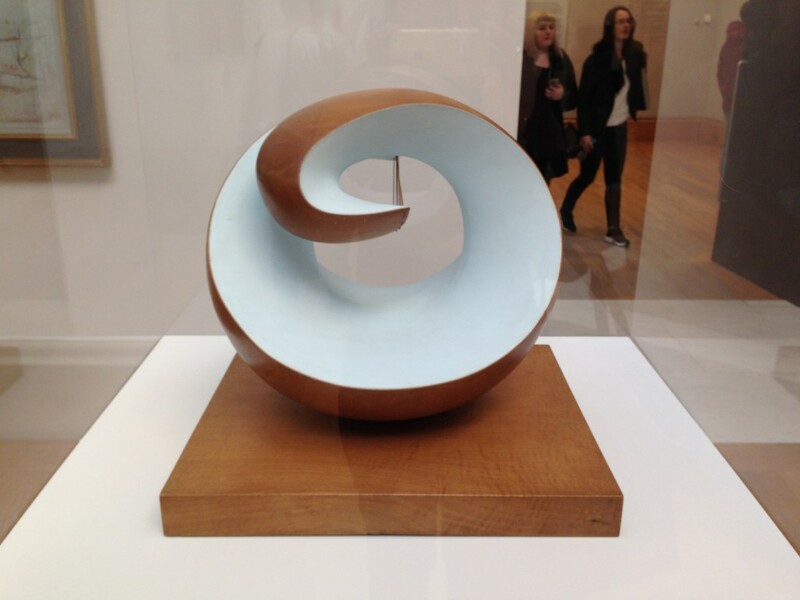 At Tate Britain I coveted a Barbara Hepworth sculpture, reminiscent of the turning waves on the Cornish sea…and also wondered why it’s taken so long for her to get a major exhibition at Tate when Henry Moore has his own room (a Hepworth retrospective is due this summer). The Botanical Art Exhibition at the RHS’s Pimlico halls was fun. Being the RHS, even the table decorations were stunning. 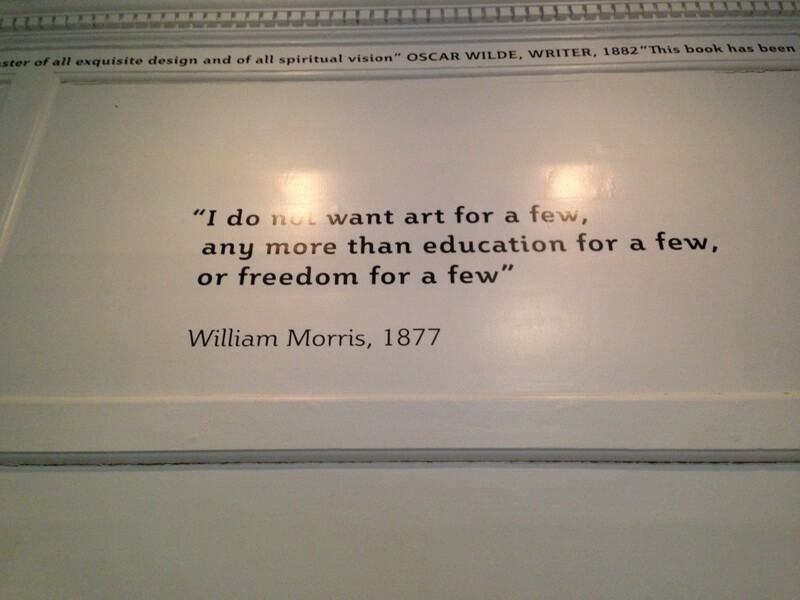 Then over in Walthamstow, the William Morris Gallery made for an inspiring Saturday afternoon visit. The Arts and Crafts textile and wallpaper designs endure with timeless style. 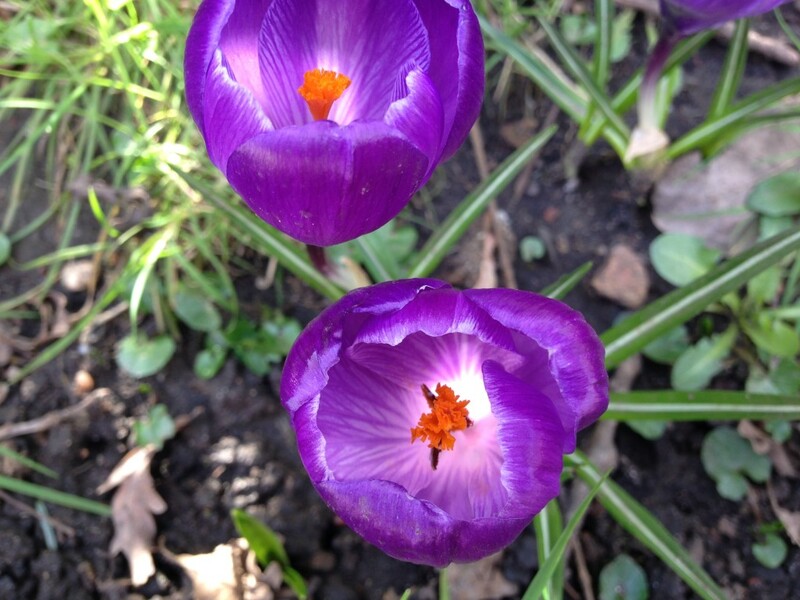 Back in Birmingham – a relief after all the hustle (and hipsters) of Shoreditch – the seasons are changing. 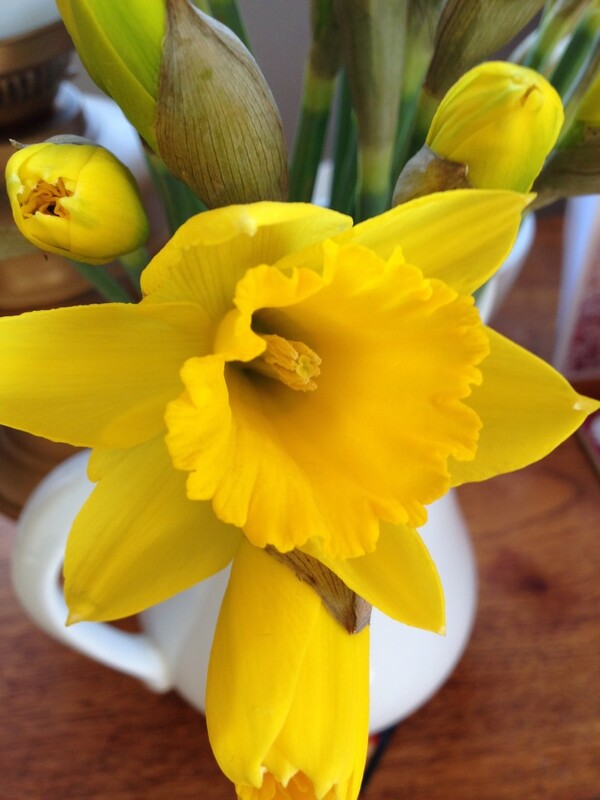 The daffodils in the communal front garden-wilderness have popped open this week, with their welcoming flashes of yellow. 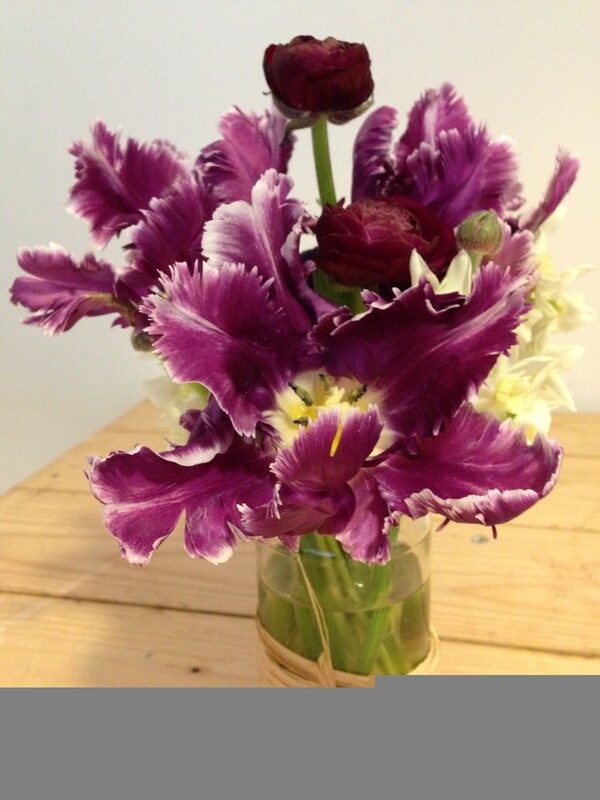 So too the crocus, with their jazzy flashes of purple and orange. Today was a properly warm day, about 12c I think, with blue skies and a slight breeze. 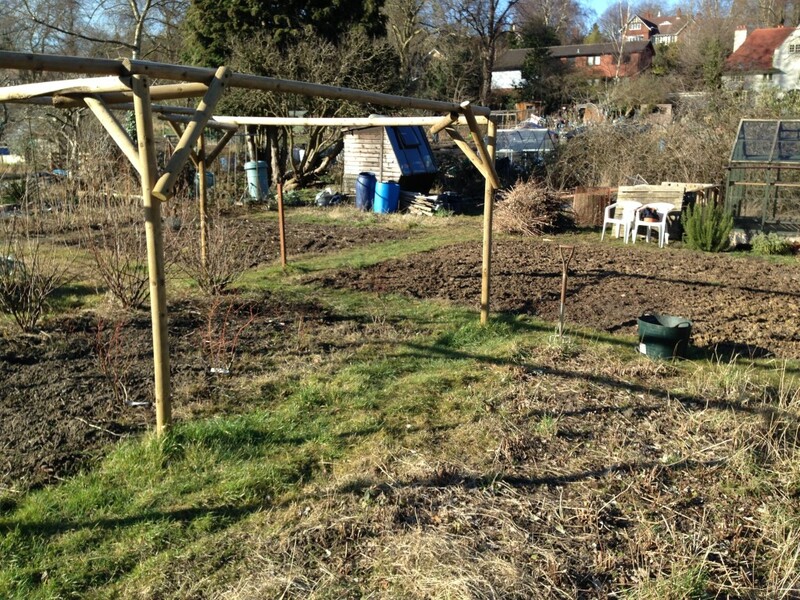 We spent a couple of hours this afternoon on the allotment basking in the unexpected sunshine, checking on progress and beginning the spring clean. 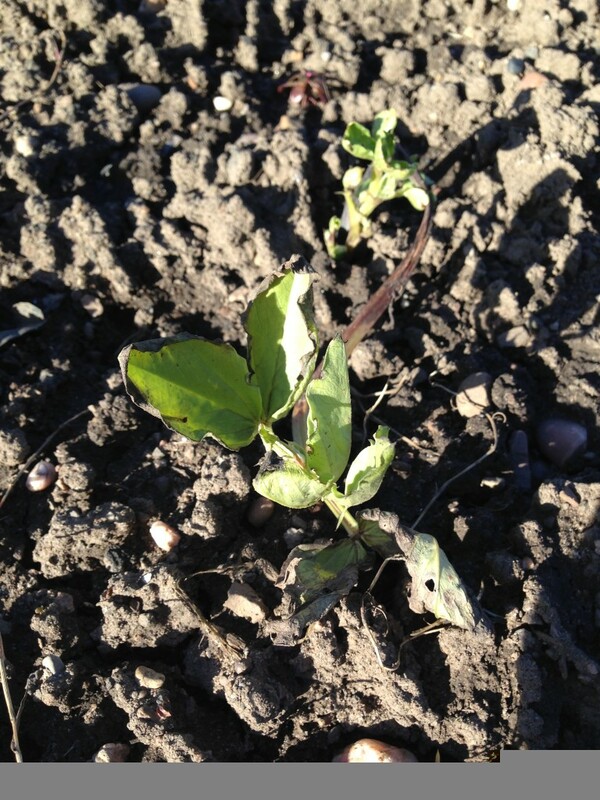 Seven broad beans have survived the winter bombardment of rain and wind, just as they did last year. They are hardy buggers, although looking a bit sad. These will provide the first crop but I’ll put in further seedlings for a second cutting later in the spring. 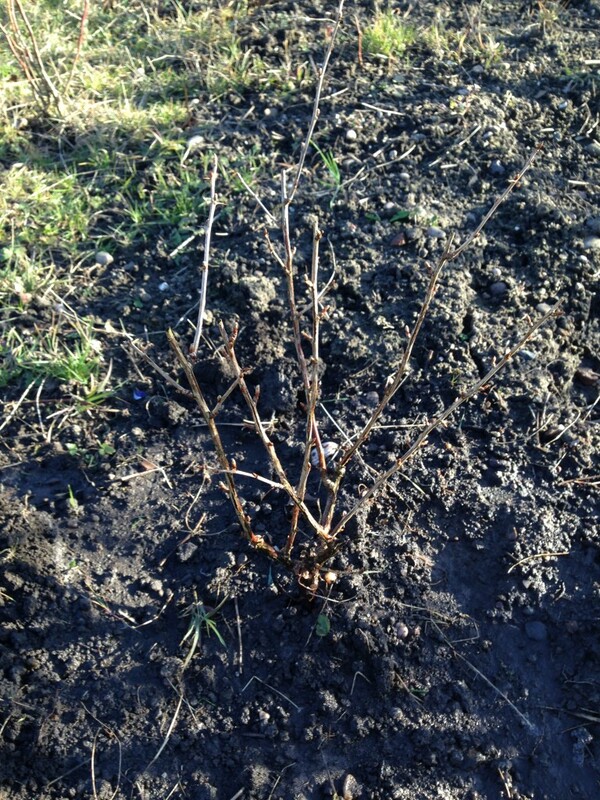 The gooseberry has finally been moved, away from the choking weeds of the autumn raspberries, to a new home next to the blueberries and currants. It’s replacing those blackberries that Matt took out last autumn. 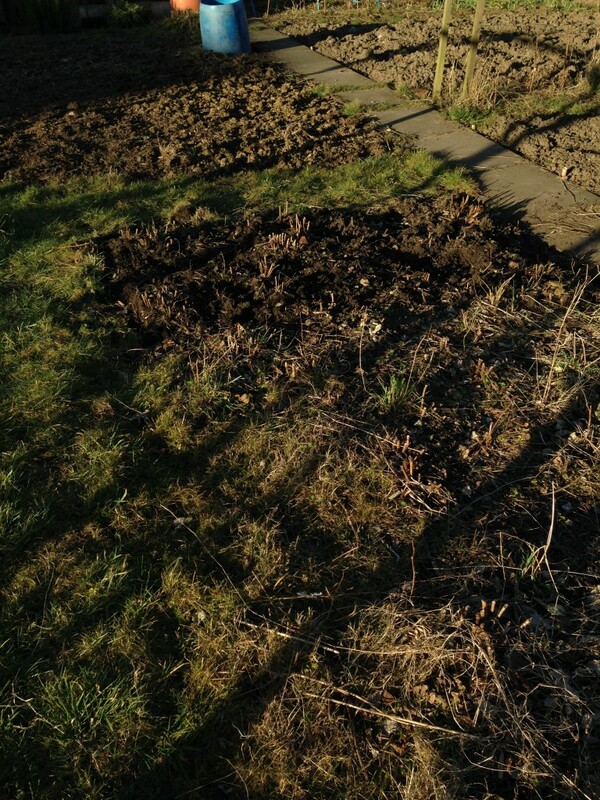 And speaking of those choking weeds, I made a start of clearing those massive tufts of grass from the large raspberry patch. It took about an hour to do a third, so actually it will be a swift job, but my God it was hard work. Particularly as I’ve had physio on that dodgy left shoulder this week. Need to take it slow and steady. 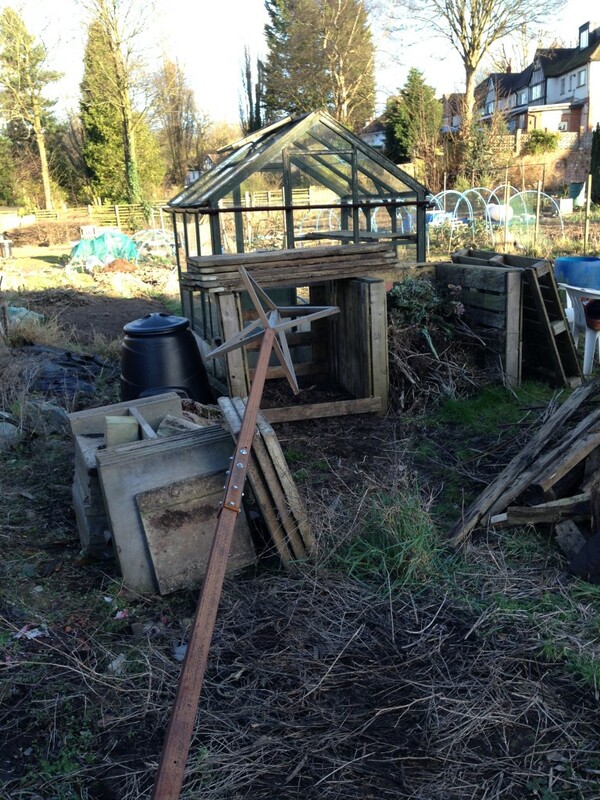 Matt cleared out all the crap from the back of the greenhouse, piling it up for what will be an epic bonfire. Amidst the rotten scaffolding planks was plastic detritus, the stuff that makes my skin crawl, which will have to go to the tip. Spring cleaning has begun.